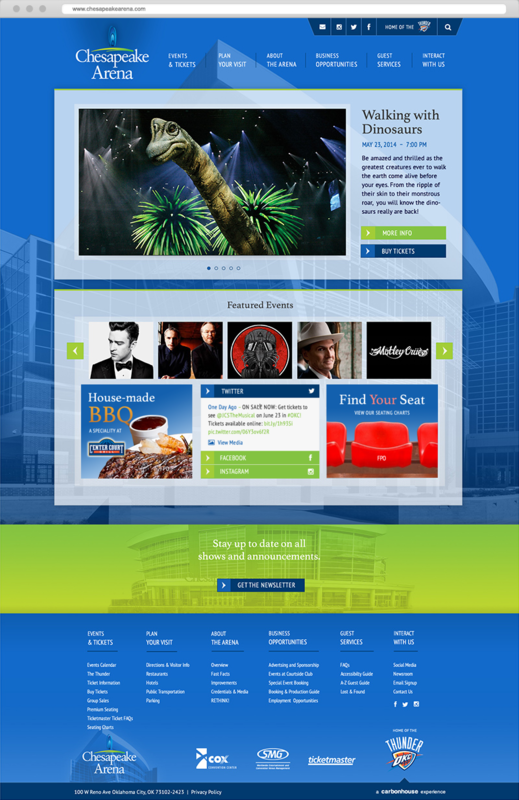 Websites for Performing Arts Centers, Convention Centers, clubs, festivals, and sports teams. Over the years carbonhouse has positioned itself as the leader in venue web, mobile, and app development. Their client list spans countries, languages, and continents. 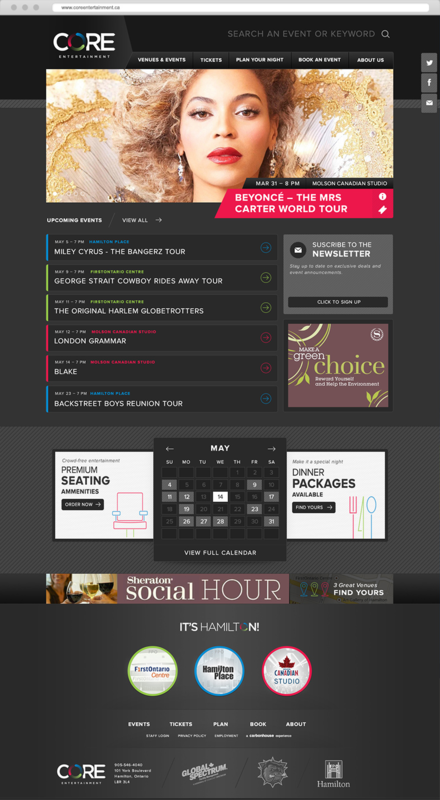 All sites are built off a proprietary CMS created for the specific needs of the events industry. The following is a selection of websites I designed.